Two recent graduates, 2nd Lt. Nathan Baker, left, and 2nd Lt. John Baxter, right, have commissioned into leadership positions in the Georgia State Defense Force. 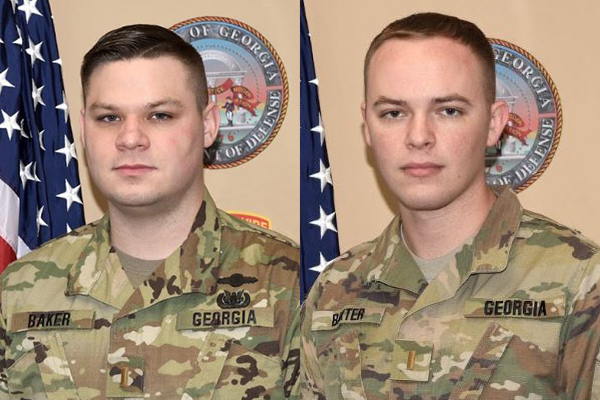 Two recent graduates from the University of North Georgia (UNG) have commissioned and been appointed leadership positions in the Georgia State Defense Force (GSDF), an all-volunteer component of the Georgia Department of Defense that supports the Georgia National Guard. 2nd Lt. Nathan Baker, a native of Dallas, Texas, who grew up in Kennesaw, Georgia, will serve as the aide-de-camp to GSDF Commander Brig. Gen. Thomas H. Blackstock Jr. Baker earned a bachelor's degree in international affairs with a concentration in Eastern Europe and commissioned into the GSDF in August. He currently works as a recruiter in UNG's Office of Cadet Admissions. "I am incredibly blessed to have an opportunity to continue serving in uniform," Baker said. 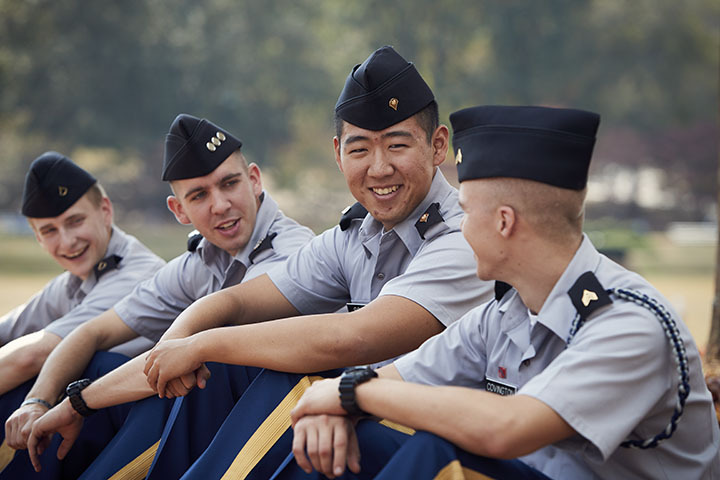 "Having been medically ineligible to pursue a commission in the U.S. Army from UNG, I expected that my time wearing a uniform would end with my graduation. However, in finding the GSDF, I have also found an organization that allows me to both support the Georgia National Guard, as well as Georgia's citizens and communities in ways that I had not originally thought would be possible." 2nd Lt. John Baxter of Winder, Georgia, earned a bachelor's degree in biology in May 2018. He is pursuing a Master of Business Administration and plans to begin dental school this summer. 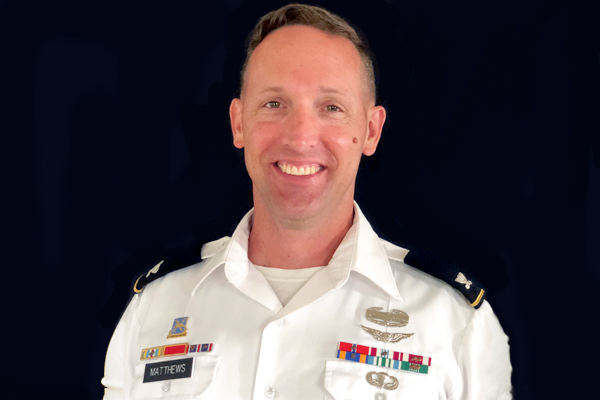 Baxter was an S-STEM (science, technology, engineering and math) Scholarship recipient and served in numerous leadership roles while in UNG's Corps of Cadets. At the GSDF, Baxter is assigned to the operations unit at Headquarters and Headquarters Company. 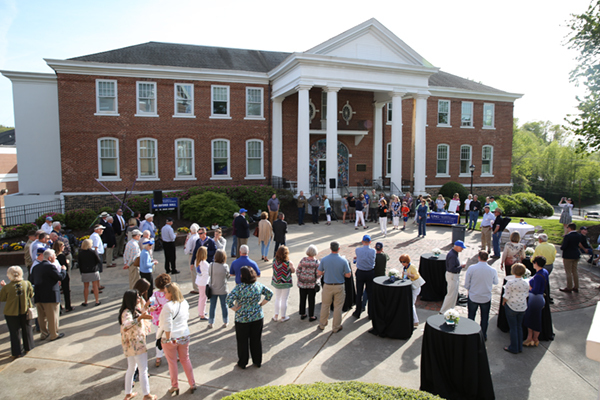 Baker and Baxter credit the foundation of leadership learned and experienced at UNG as key to preparing them for their GSDF roles. "I have always had a willingness to serve, and the GSDF provided me that opportunity," Baxter said. 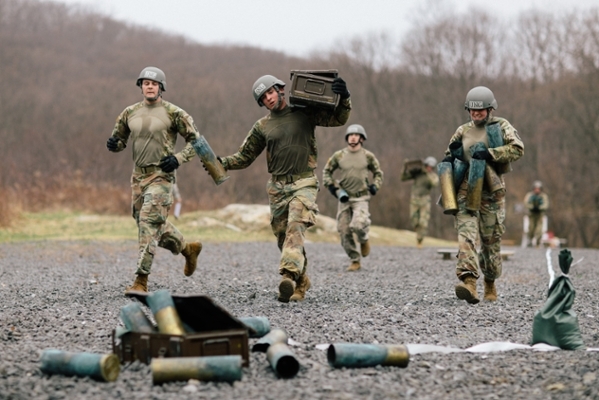 "The leadership training I received at UNG will be extremely valuable in the GSDF, and my role as a staff officer in my last semester in the Corps has prepared me for my new position as a G3 assistant."